The Commission has prepared a detailed fact sheet on Medical information and recruitment as well as this brief fact sheet. Download the brief version of the Medical information and recruitment fact sheet for printing (PDF File, 539.2 KB) . This fact sheet is about the rights and responsibilities of people applying for work and prospective employers in relation to pre-existing injuries and medical conditions, as well as claims histories. It explains how the Anti-Discrimination Act 1991 and the Workers' Compensation and Rehabilitation Act 2003 work together in these matters. Unless there is a valid exemption under the Anti-Discrimination Act 1991 , it is unlawful to make recruitment decisions based on a person's impairment, perceived impairment or their previous or current injuries or medical conditions. an employer making reasonable decisions to protect the health and safety of people at a place of work. Generally, it is unlawful for an employer or recruitment agent to ask for information on which unlawful discrimination might be based. However, under the Workers' Compensation and Rehabilitation Act 2003 , during recruitment the employer can make a written request to a job applicant to disclose any pre-existing injury or medical condition that might be aggravated by performing the duties of the job. Using this information about an applicant in the recruitment process must be done in compliance with the Anti-Discrimination Act . A valid exemption must apply in order to reject an applicant from consideration based on this information. An applicant who has been wrongly rejected from consideration because of an injury or medical condition has a right to make a complaint of discrimination under the Anti-Discrimination Act . The definition of prospective employer is wide enough to include a recruitment agent. a person suspects, or should suspect, would be aggravated by performing the duties of the job. a warning that if the applicant knowingly makes a false or misleading disclosure, the applicant (or other claimant) will not be entitled to compensation or to seek damages for any event that aggravates the pre-existing injury or medical condition. A comprehensive description of the job duties and the environments in which the duties are to be performed, will better assist an applicant to assess the likelihood of aggravating a pre-existing injury or medical condition. The applicant must be given a reasonable time to comply with the request. There is no obligation for the applicant to make a disclosure if they are engaged before having a reasonable opportunity to comply with a request. A false or misleading disclosure is doing or saying anything that would lead a prospective employer to reasonably believe that the duties of the job would not aggravate the applicant's pre-existing injury or medical condition. If the job applicant knowingly gives a false or misleading disclosure, the applicant (or other claimant) will not be entitled to compensation or to seek damages for any event that aggravates the pre-existing injury or medical condition. A claims history summary is a document issued by the Workers' Compensation Regulator that states the number of applications for compensation and claims for damages made by a person, as well as the nature of the applications and claims. 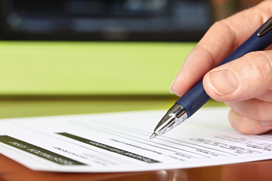 An employer can no longer obtain a person's claims history summary. This change took effect on 24 September 2015.
use the contents or information for any purpose other than the purpose of the recruitment process. It is an offence for a person to obtain or use (or attempt to obtain or use) a workers' compensation document for a purpose relating to the employment of a worker. any reasonable work health and safety issues.